It’s estimated that 71% of Americans intentionally read messages displayed on billboards while driving. Law firms can actively utilise billboard marketing to improve their brand reach and get more clients. The rapidly evolving technology has gradually changed how marketing is done. In the past, newspaper advertising was preferred because it was the most effective strategy to use back then. The advent of the internet has prompted more people to get information online, causing a dramatic shift in how companies market their products. If you desire to get exquisite services from a distinguished law firm, lawyers at Logan Law can support you. They will readily offer you the help you need. 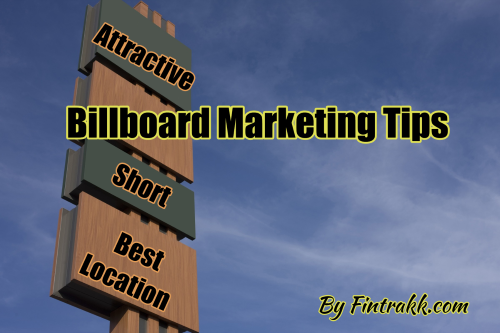 Billboard marketing can be quite effective if you use the right strategies. Most people will only have a few seconds to glance at your billboard, so it’s important to keep the message short and attractive. Avoid using too many words. Instead, be concise and creative in the way you pass the message across. Apart from using plain words, choose the best graphics to accompany the text. Remember to use a large text font to guarantee legibility. Selecting the appropriate font type is also essential. After all, drivers won’t bother straining their eyes to read an illegible billboard. Your billboard ad shouldn’t exceed six words. Although it’s important to design your ad creatively, choose a font that’s large enough to be seen by passing motorists. You’ll certainly be delighted by the effects of a well-designed billboard. Location is the key when it comes to billboard advertising. You have to choose a great focal point to place your billboard. The first step should involve conducting a bit of research to understand your niche market. Figure out where they live, their hang-out locations, and the routes they use to travel. This will give you a clear picture of your target audience, allowing you to place your billboard strategically and get more clients. There might be other law firms with a similar idea, so make your billboard ad as unique as possible. Creating an attention grabber takes time. Choose the best designers to create an eye-catching billboard ad that will attract motorists as they drive by. Also, select your colours very carefully and try to make a lasting first impression. The more time you spend designing your billboard ad, the better it will look. People will certainly want to know how they can get your law services, so it’s a wise idea to include your business number or website name when designing the billboard. You could also share your social media links – your Facebook page would be perfect. Expand your creativity by thinking out of the box and come up with captivating ideas that you can use for your billboard. However, don’t jeopardise the quality of your images since this might misrepresent your distinct brand. Choose clear, high-resolution graphics that will appeal to your audience. Generally, the resolution of billboard images should be 300 pixels per inch or higher. These 3 Billboard advertising tips will help to rejuvenate your billboard marketing strategies and get your law firm on the map.